There is one good reason to be a member of the Catholic Church, and that reason is that the Catholic Church is the Church which was established by Jesus Christ and acts with the authority which Christ has bestowed on her to bring people to Him. Love of her artwork, her architecture and the beauty of her rituals are not reasons to be a member of the Catholic Church. It is true that these things can and do elevate the mind to God and should not be scorned. But if one should put so much focus on the beauty that they forget the purpose of the Church, then the attachment to these things can actually be harmful. Now we need to remember the maxim abusus non tollit usum (Abuse does not take away [right] use). The fact that some put excessive focus on these things does not mean they are worthless and should be discarded. Rather it means that when the aesthetics of the Church are downplayed, a person should ask why this is. Watching the past two and a half weeks since Pope Francis was elected, there have been a certain section of the Catholic blogosphere who has been scandalized by his actions. It might seem asinine that some people are worried about the fact that the Pope isn't wearing the red shoes and some other traditional robes, but they are. Some have even accused him of doing things in Argentina (like washing the feet of certain outcasts) out of pride(!). I think these are quite clearly warning signs that some people are missing the point of what the Church is existing for. The Church is the sacrament Christ has made to bring His salvation to the world – and His Real Presence to the world in the Eucharist. Pope Francis sees some of the trappings of the office as perhaps obscuring the message of salvation and so he forgoes these trappings to make the message more clear. Now some people may disagree with how he handles these things. Fair enough. There were times when I cringed at how some of Pope Francis' predecessors did or stated things. We don't have to like all the ways a Pope uses to express himself in teaching the faith. 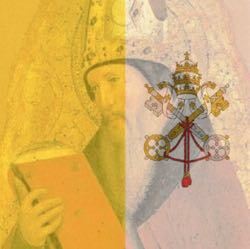 But if a person does not like some of the means the Pope might use to teach the faith, that person still has to have a loving acceptance of the authority of the Pope and assume he is acting out of good will instead of judging rashly. I do not write this to judge any individual. Rather in the last few hours before the Easter Vigil, I ask readers to keep perspective and not to forget what the Church is for when the Pope acts in an unexpected way.